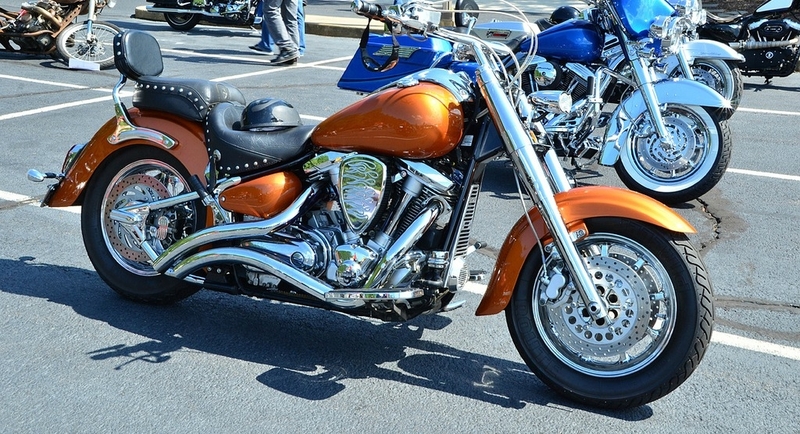 Highway 36 is dubbed the VFW Memorial Highway, named in honor of the brave men and women who have fought for our country. It is only fitting that several American military leaders and heroes can be found along this historic route. 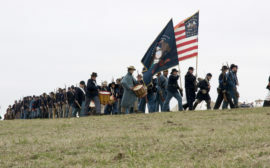 Civil war buffs can see numerous Civil War sites along MO Hwy 36. The Battle of Kirksville Battlefield is located in Adair County. The Battle of Athens is near the town of Revere, and The Battle of Painter Creek is five miles north of New Cambria. Hannibal’s Old Baptist Cemetery is the final resting place of several members of the 55th Massachusetts Regiment, spotlighted in the movie Glory. A panel at the cemetery commemorates these soldiers. The Blees Mansion in St. Joseph is a Civil-War-era mansion that is now home to a museum featuring Civil War history. The only man in his US military history to reach the rank of General of the Armies in his lifetime grew up in humble Laclede, Missouri. 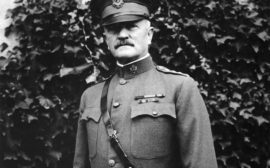 During the Great War, World War I, Pershing was general to nearly 3 million soldiers. The Gen. John. 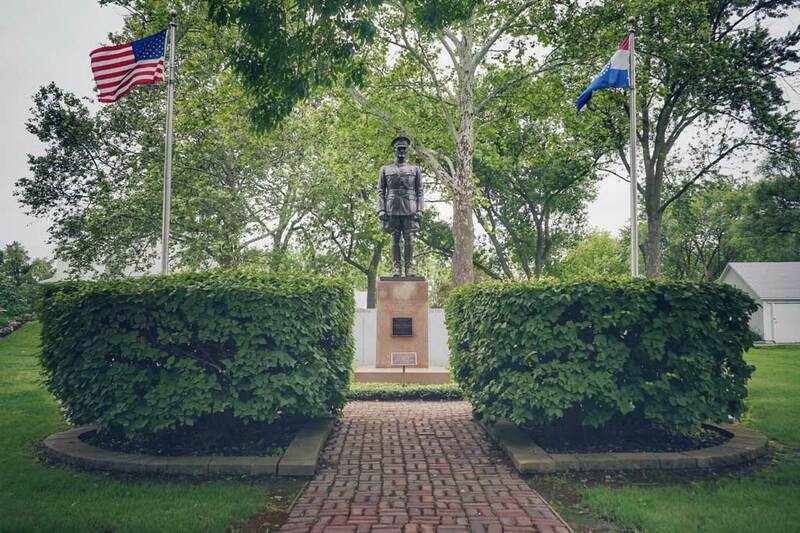 J. Pershing Boyhood Home State Historic Site in Laclede is open for tours, as is the Prairie Mound School House, where you will get insight into the boy as well as the military hero he became. 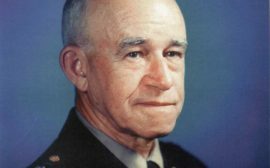 Only two people in the history of the US military outrank Missouri-born Gen. Omar Bradley. One of then is George Washington. Yes, that George Washington. (The other, interestingly enough, happens to be fellow Missourian Gen. John Pershing.) Gen. Bradley was tasked with the Invasion of Normandy, leading the troops on D-Day. Learn about this American hero in his hometown of Moberly, Missouri at the Randolph County Historical Society.